Caramel Custard is a popular dessert across India, and the credit of its popularity goes to the Parsi, Mangalorean and the Anglo-Indian communities. It’s not very sweet, has an amazing texture and is easy to prepare with available ingredients. Though the traditional recipes do not mention, I add crumbled leftover bread crusts to the custard I make to get some additional texture and decrease the number of eggs used. The Caramel Custard can be served warm or cold; as a stand-alone dessert, or with ice cream or jelly. 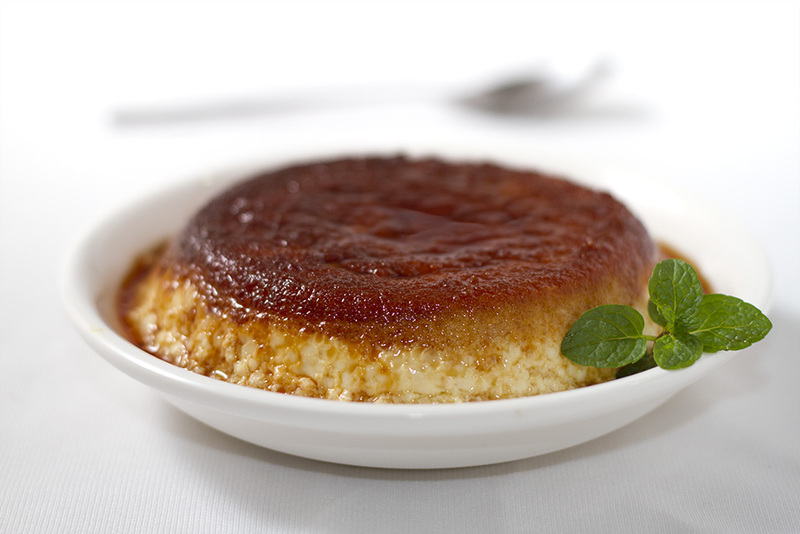 Crème caramel is a variant of plain custard where sugar syrup cooked to caramel stage is poured into the mold before adding the custard base. It is usually cooked in a bain-marie on a stovetop or in the oven in a water bath. It is turned and served with the caramel sauce on top, hence the alternate French name crème caramel renversée. Turning out larger dishes requires care, as the custard easily splits. Larger dishes also require more care to avoid undercooking the interior or overcooking the exterior. Thus, crème brûlée is often cooked and served in individual ramekins. Crumble the bread crusts in the food processor and mix it with milk, add sugar and dissolve it completely. Beat the egg with vanilla essence and add it to the it with milk/bread mixture. Stir it well. Take 6 Tsp sugar in a thick bottomed pan, and heat till the sugar turns brown and caramelizes. Take care to not burn the sugar too much. Pour the caramel into a mold and let it cool so that it thickens and sets a bit. Gently pour the milk mixture in the mold above the caramel layer. Heat water in a water bath or pressure cooker with the whistle removed. After the water starts boiling reduce the heat to minimum and place the mold. Cook for about 12-15 minutes. In about 15 minutes you will see that the custard is set. Remove the mold from the water bath and let it cool on a wire rack. After it cools deftly invert it over a plate or serving dish and garnish with mint or cream. Serve immediately if you want it to serve it warm, or cool it in the refrigerator and serve cold. Can I add milkmaid instead of eggs and then no sugar ?